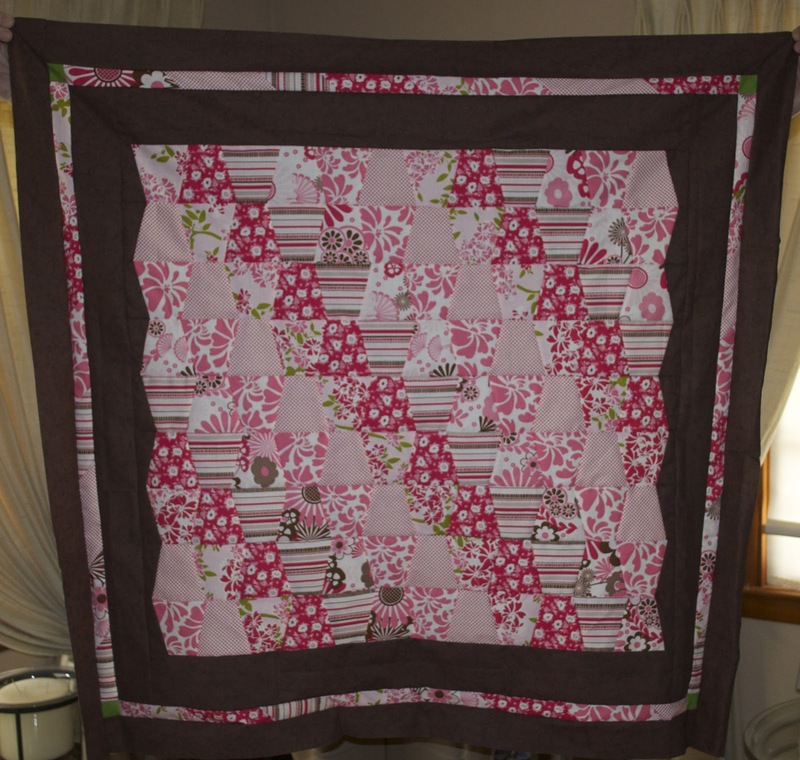 As I was going through my stash, I found this little fat quarter bundle of Riley Blake's Dainty Blooms. 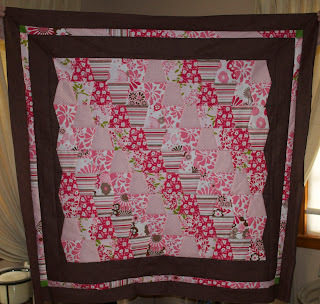 I thought it would be cute cut into tumbler blocks and put into baby quilt for a co-worker's upcoming baby shower. I had some Kona Grass that I used as little accent cornerstones, that I think work nicely with the green in the other fabric. I also, really like letting the tumbler shape float in the center. I think it turned out really cute and I hope the little recipient likes it as much as I liked making it!